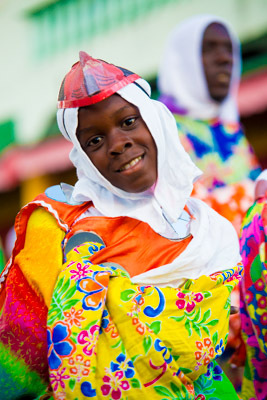 The Children’s Carnival Frolic will be held on Saturday 3 August at the Grenada National Stadium starting at 11:00 am. The event will start with Junior Panorama where 7 bands are registered to compete. Following Panorama we would have the parade of the Bands and individuals where Traditional and Fancy masqueraders would depict their portrayals. The event would culminate with the crowning of the Junior Monarch and Prize giving Ceremony. The Parade of The Fancy and Traditional mas’ will start from by NIS car park at 12:00 pm. Bands are to assemble for 11:00 am and dipping for positions would be at 11:30 am. There will be two judging points, one on the road (Mr. Lacrette’s shop in River Road) and the other at the Grenada National Stadium. The event will be a fun filled one, as The Kiddies’ Village will be featured again this year. Face painting, bouncing castles, masks, mardigras beads, feathers, balloons, airplanes, body gems, tattoos along with sweet steel pan music, beautiful mas’ and good calypsos would make this event one not to be missed for all families. This year we are anticipating a 6:00 pm finish as the overall production has been tightened.